RANCHO CUCAMONGA, Calif., (June 2, 2014) – One day before the NRF Conference in Miami, on June 10, the USS Foundation is hosting its 6th Annual Charity Golf Tournament. 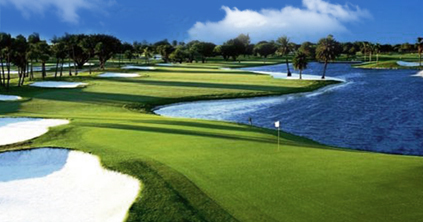 The event will be held at the world-famous Trump National Doral, Blue Monster Course. A part of the proceeds will go to the National Center for Missing and Exploited Children and a part will go towards charity programs of the USS Foundation. The USS Foundation is a non-profit organization dedicated to help children in need. It is known for its Adopt-a-Bike program; holiday meals for low income families; and visits to children recovering from serious illnesses. The USS Foundation is an active supporter of the National Center for Missing and Exploited Children.